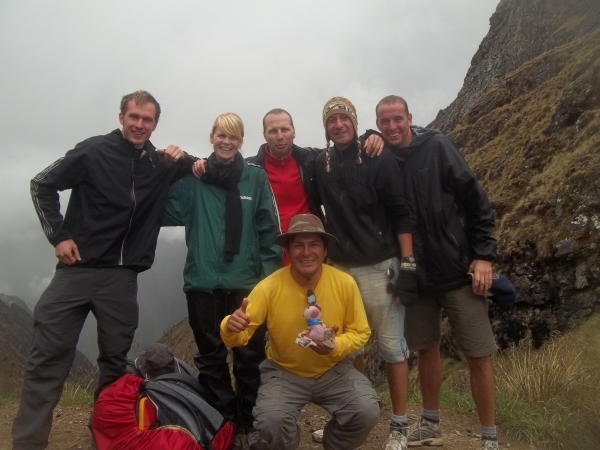 On the 29th March 2012, I and our group of 6 led by the tour guide Victor started our 4 day 3 night Inca Trail experience. The first day started off extremely well with nice weather and the first days walk was relatively easy and as Victor kept telling us, it was our training for the next 2 days. Along the way we stopped at various different spots where we were informed about the different plants that we were seeing and the meaning behind them and all about the various different small communities that local people resided in. We also stopped off at one particular ancient Inca site that we were able to view from one mountain top where we were able to get our first real glimpse of Inca buildings and where we were able to get our first great picture. The second day was a lot harder as we had to walk approx 14km and pass the highest point on the trail at Woman’s Dead Pass which was 1200 meters higher than where we had started the second day trek. This was the hardest day for myself as some places were very steep and there was an enormous amount of steps to climb but was made all the worthwhile once we reached the peak and managed to get some amazing pictures with the group and of the scenery and we also celebrated with a nice cold beer at the top which we bought along the way. The next part of the trail and also the third day in mostly downhill which can be quite draining on the knees sometimes but it was the part that I actually found easiest. Our tour guide was extremely good and would stop us at various stages to explain all about what we were seeing and about all the archeological sites that we were passing and was teaching us all about the customs at the time of the Inca´s. Victor spoke very good English and was always on hand to make sure that everyone was ok and not having any problems with the trek and making sure that he was passing on his knowledge to us. He would explain all about the following days trek after we had enjoyed our dinner and would then join us for a few card games which made the group bond. The porters and the cooks were absolutely amazing and have to be complimented on all the hard work that they done for us including setting up our tents even in the pouring rain and the food which we ate along the way cannot be faulted in any way and my hat goes off to the chef. The view when we finally arrived at Machu Picchu was out of this world and is truly the best sight I have ever seen in my life. The whole experience from start to finish is something that I cannot speak highly enough of and I would recommend this company, Inca Trail Reservations and the tour guides and porters and everyone associated with the trip to anyone who wishes to do this trail. This is truly something that I will treasure for the rest of my life. 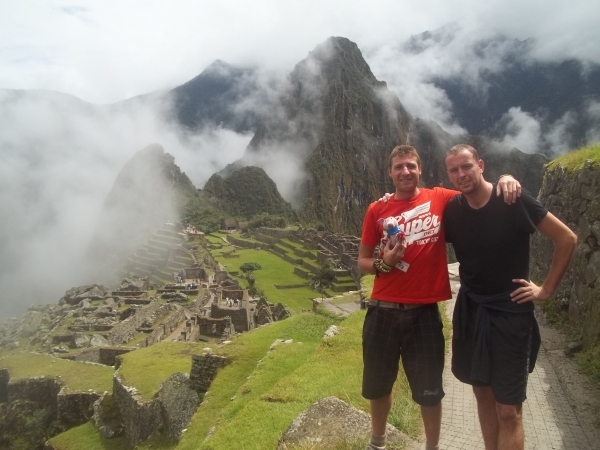 From start to finish the Inca Trail was an amazing experience. Even when the weather was not the best the whole expedition was that good it more than made up for this. The guide was excellent full of knowledge of the Incas, friendly and always supportive throughout the treks. He made our group become one and everyone had a great time. The porters were incredible for what they do for you in terms of preparation getting to the camp before you making sure that everything is set up for your convince. To go with the impressive porters and guide the cook made up the great team supplying us with a variety of very tasty food. Having a great team formed the basis of the best experience of my life. Trekking for four days through some of the most beautiful scenery you can imagine. Even when times get difficult especially on the second day all you need to do is take a moment look to see where you are then it all becomes bearable. The satisfaction when getting to the Dead woman’s pass is well worth the effort of trekking up to 4200 m. From this point there are two views that make the struggle worth it. Even the 3:30am start on the final morning soon becomes forgotten as you make your way to the sun gate in anticipation of what you are going to see. And the view is one that will never be erased from your memory. Here you continue your way to Macchupicchu and then this whole civilization waits which in my opinion is the best wonder of the world. From here the guide gives a very detailed tour of Macchupicchu full of information which amazes the mind on how extraordinary the Inca civilization was. 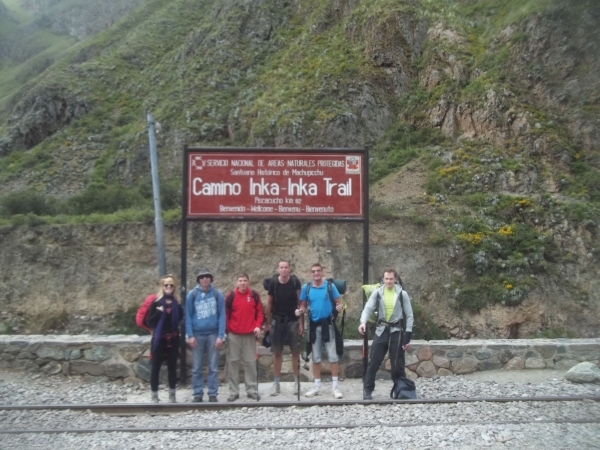 The Inca Trail is something that is a must for every person. Truly one of the greatest experiences of my life! 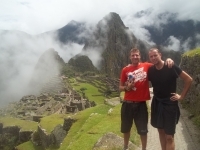 And I really recommend Inca Trail Reservations .